The assessment provides further details according to segments, regions, and frequencies across a core-set of metrics vital to assess the health of the Energy Segment for the Satellite Communications sector. Focusing on In-service Units, Revenues, and Capacity Demand across FSS, GEO-HTS, Non-GEO HTS, and MSS capacity, the report dive-deep into the trends, drivers, and restraints behind each segment. Oil & Gas Satcom Connectivity is expected to be a $1 Billion-dollar opportunity by 2027, spread across Onshore E&P, Offshore Support Vessels, Offshore Rigs & Platforms, and Midstream Pipeline plays. Slowly recovering from the challenges of the past few years, HTS (in GEO and Non-GEO) will enable the next-era of growth across the Energy sector. 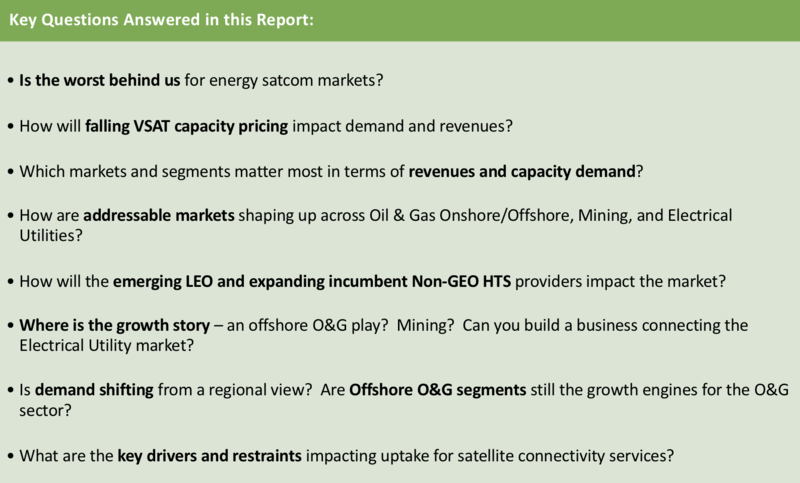 At over $1.6 Billion for all Energy Markets considered in the report, how those revenues are divided amongst service revenues, equipment sales or passed upstream to satellite operators for capacity revenues will be the key trend to decide who wins and who loses. With End-users facing ongoing pressure to control costs causing widespread M&A activity, Service Providers will need new and innovative approaches to win fleets in an increasingly consolidating environment. 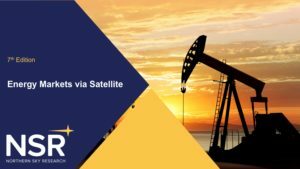 NSR’s Energy Markets via Satellite, 7th Edition expands on previous NSR coverage of the Energy Markets. 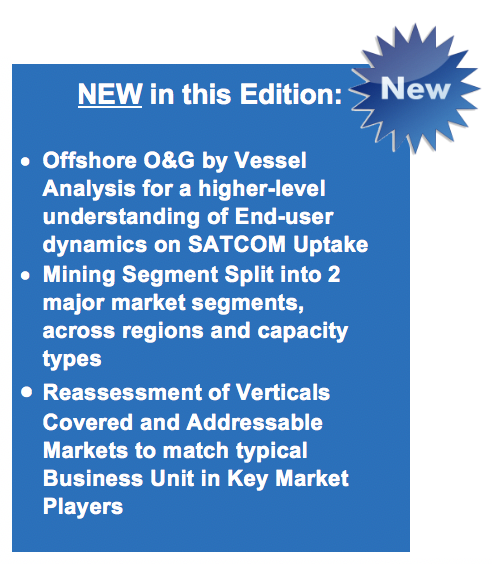 The report now includes a “by Vessel” view of the Offshore O&G sector, a deeper split of the Mining markets into Exploration & Construction, and Production & Closure, and a revised outlook on the pipeline addressable market. With a deeper regional dive in select segments available for NSR’s subscription clients, get even further resolution in matching demand and revenues against key capacity regional markets. 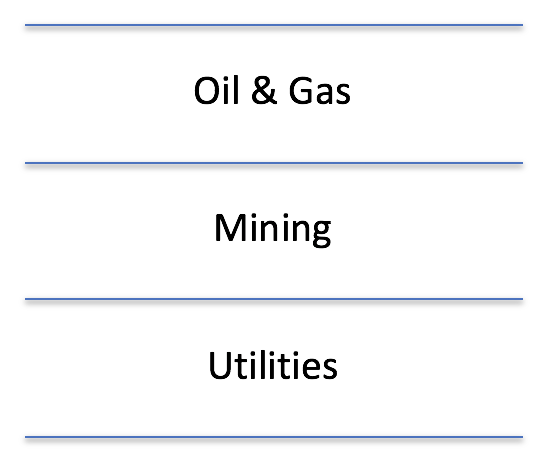 The report focuses on the core markets for Energy Service Providers, matching their business group organizations to streamline comparisons against market benchmarks and internal projections, removing merchant maritime tanker (midstream offshore distribution segments in previous reports), which typically is reported under commercial maritime business units. With an honest, cross-vertical assessment of satellite capacity, just how long can the Energy markets sustain satellite capacity levels? During this period of adjustment, this edition lays out how capacity revenues, service revenues, and equipment revenues are shaping up for Service Providers and market players. Alongside the threat of Satellite Operators moving down into the service provider layer, just what does that mean for the incumbent providers? 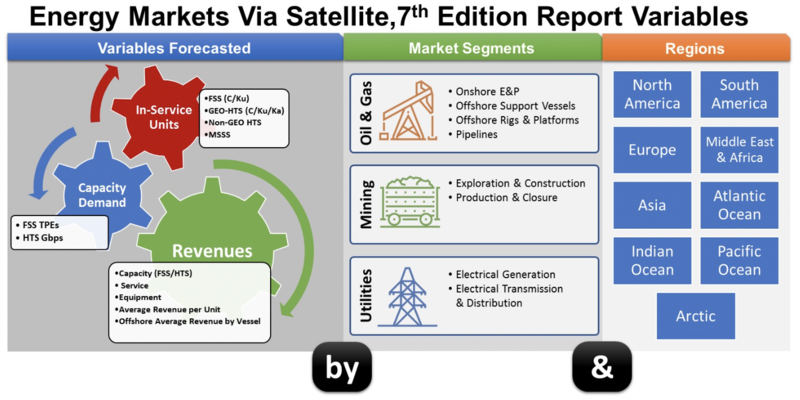 Bottom Line, NSR’s Energy Markets via Satellite, 7th Edition analyzes dynamics behind the curves in major segments and regions, and how changes to satellite capacity uptake are trickling down into connectivity revenues. 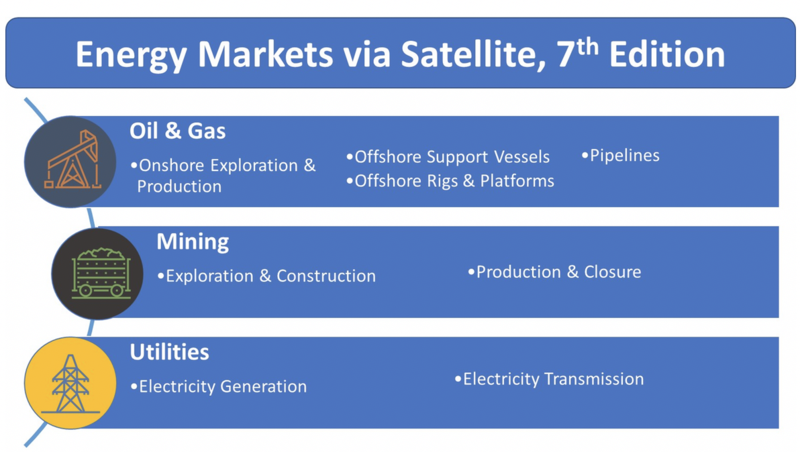 NSR’s Energy Markets via Satellite, 7th Edition is based on an ongoing assessment of the Energy Markets, complied and expanded from NSR’s industry-leading research library. As the market shows signs of returning to growth, NSR relaunched its dedicated-study on Energy Markets via Satellite. Rigorously tracking the developments of key players, end-users, and market segments, combined with extensive interviews across the value-chain, and deeper-dives in selected sub-segments and regions, all combine to form a complete quantification of major trends, drivers, and restraints present in the market. NSR consistently stays ahead of the curve anticipating market dynamics in the satellite industry. In an era of profound changes to End-user markets, satellite capacity pricing uncertainty, new satellites in new orbits, and new competition from all sides, NSR is a trusted partner to distill fact from fiction, quantify these changing times, and provide bottom-line guidance to all segments of the value-chain. This report serves as an opportunity roadmap for future strategic decisions. 1.6.2 Market Trends – A U.S. Net-Exporter? 2.3.4 Major Market Trends – “Big Data” is the 0th App, What’s the First? 4.3.3 Major Market Trends and Global Figures – Cyber Protection: Driver or Restraint?